Exceptional spike in the number of hidden addressed on the Tor network has been identified by security expert and Prof Alan Woodward at the University of Surrey had spotted an increase of over 25,000 onion `dark web’ services. Prof Woodward had commented that he was unsure on how best to explain this sudden boom but one possibility was that it could be a sudden swell in the popularity of Ricochet, which is an app that tends to use Tor in enabling anonymous instant messages between users. The Onion Router or Tor enables users to browse through the web anonymously by routing their connections through a sequence of various computers and in the process encrypt the data. Prof Woodward had mentioned on his blog that there had not been a similar increase in .onion sites in the history of Tor network. He had informed BBC that something unprecedented has been happening though at moment that is all what they are aware of. Dr Steven Murdoch at the University College London had mentioned that it is hard to know for certain what could be the reason for the jump. 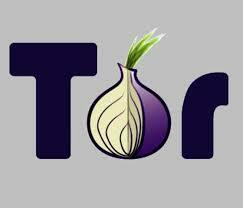 One of the objectives of Tor is to protect people’s privacy by not revealing how they are using Tor. Another interest defined by Prof Woodward was that inspite of the rise of hidden addresses; traffic on the network had not perceived a similar spike. He informed that it could be a coincidence that the spike could be due to a network of computers called a botnet unexpectedly using Tor or the hackers had been launching ransonware attacks. It could also be the outcome of malware which could be creating unique .onion addresses when it tends to infect a user’s computer, though there seems to be no evidence for it. Prof Woodward also mentioned that he is of the belief that a rise in the use of an anonymous chat app known as Ricochet that has just received a huge positive security audit could be the most probable explanation. Dr Murdoch had stated that this could be a possibility, adding that the spike could also be the result of someone running an experiment on Tor. Ricochet tends to use the Tor network in setting up connections between two users who prefer to chat securely. The app’s website states that the same is accomplished without disclosing the locations or the IP address of the users and instead a username, each of the participants tend to receive a unique address like `richchet:rs7ce36jsj24ogfw’. Though Ricochet had been available for some time, on 15 February reasonably positive results of an audit by security firm NCC Group had been published. Prof Woodward had mentioned on his blog that every new user of Ricochet would have to create a unique onion address while setting up the service and that could account for the flow in services. But he also admitted that 25,000 new users in just a matter of few days for the app, could recommend remarkable growth.